Best Free Antivirus Protection - Why is it Needed for Windows 10? Microsoft has been urging Windows users to upgrade to its latest version Windows 10 which comes with a more powerful inbuilt security system - Windows Defender - that can protect Windows users against various security threats. But unfortunately, security tests conducted by leading experts in the cybersecurity industry have revealed that Windows 10 does not offer enough resistance against the modern-day malware which keeps evolving almost every second. Of course, an update to Windows 10 is unavoidable because it's the most secure Microsoft OS around. Which obviously means other versions - Windows 7, 8 and especially Windows XP - are more vulnerable. Which in turn means Microsoft would soon stop supporting them. Therefore, in this blog post, let's take a look at the various security measures you can take after you update to Windows 10, in order to protect your PC against various security threats with a specific focus on protecting your privacy. 1. Audit Privacy Settings: Privacy Settings is a section within Windows 10 OS wherein PC users can configure their 'privacy settings'. Here you, as a PC user, get to decide access permissions for various apps like Camera, Contacts, Calendar, Messages (which exist in your PC) and also get to decide other provisions like whether to turn on your location or not for the benefit of other applications like Google Maps. Simply put, it's always best to regulate your privacy settings such that you don't end up revealing too much unnecessarily. For example, turn on your location only when needed. Never allow gaming apps permission to access your Contacts etc., Because such prudent security measures can go a long way in safeguarding your PC. 2. Protect Your Apps and Data: For this, you have to install antivirus software and implement a VPN service. Antivirus software - like Comodo Antivirus - prevents security threats like malware attacks and zero-day threats from breaking into your computer. Using VPN you can establish 'secure private sessions' while using public wifi and thereby eliminate the chances of malware attack and identity theft. 3. Lock Down Physical Access: One should not forget that regulating physical access too is important. Because after having taken various security measures, if you leave laptop or PC lying around somewhere where almost anyone can access it totally negates the security measures which you might have taken. Therefore don't forget to enable the lock screen feature, using which you can set up your device to automatically lock after a set period of time, or even better, don't forget to manually lock your screen by pressing Win+L, each time you leave it unattended. And above all, don't forget to place your device in a safe and secure place. Comodo Antivirus which comes equipped with impressive security features offers the best free antivirus protection that is there to offer in the cybersecurity industry. 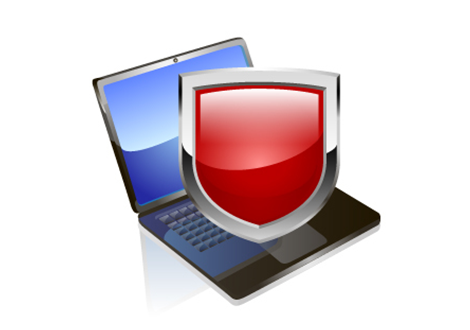 Equipped with technologies like Containment, Host Intrusion Prevention System (HIPS), Viruscope, Secure Shopping, Firewall and more, the best free antivirus protection offered by Comodo Antivirus ensures your PC(s) are protected not just against malware attacks but against zero-day threats too. Containment: Technology unique to Comodo which ensures all files or applications are denied entry into your PC(s) by default, whether they are known good (whitelisted ones), known bad (blacklisted ones) or unknown (not identified or encountered so far) until they prove themselves to be harmless. Host Intrusion Protection (HIPS): CIS also ships with a default HIPS rule-set which offer protection to your PC(s). Simply put, Comodo HIPS protects system critical files or folders from malware infections by enforcing a set of security rules that offer high levels of protection. HIPS rule-set is highly customizable. Viruscope: Another technology unique to Comodo, basically monitors all the processes running on your computer and alerts you when a process behaves abnormally or has gone rogue (indications of malware infection). Using Viruscope, PC users can potentially reverse or undo such undesirable processes. Virtual Desktop: When browsing the internet, you give away vital information about your PC which can compromise its security badly. But with CIS, as you'll be subscribing to the services Virtual Desktop, you can freely browse the internet and run programs without any fear of those activities damaging your real computer. Rescue Disk: Extremely useful security feature which allows PC users to run virus scans in the pre-boot environment. That is before Windows OS loads itself. And Much More: Website filtering, protection against fileless malware, cloud-based protection and much more ensure your PC(s) are protected not just against different types of malware attacks but against zero-day threats as well.